ATPW is saddened by the news of the passing of Joanie Marie Laurer, best known for her time in the WWF, under the name Chyna, at just 45 years old. We had some rather interesting interactions with Joanie over the last few years, both publicly on Twitter and through DM's but I'd be lying if I said we "got on". We do however wish to offer our condolences to her friends and family at this time. 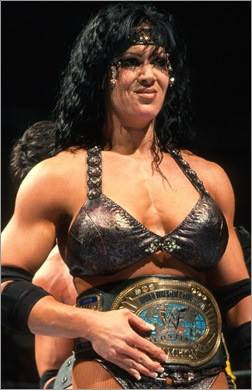 During her career, Chyna won the WWF Intercontinental Championship three times between October 1999 and September 2000 as well as WWF World Women's Championship in April 2001. I'd like to urge anyone to keep any speculation to themselves in respect of the family.